The movie “Morgan” reveals human beings’ ethical choice with respect to artificial intelligence entities created by those human beings. 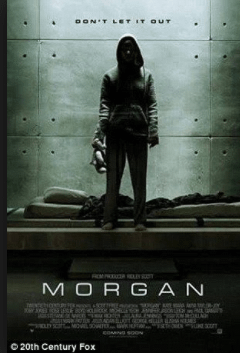 The first question that comes to mind when one is watching this movie is: What is the purpose of creating AI in flesh and blood like Morgan? Is this (once again) for a military purpose? When the experiment goes well and the scientists end up with a superwoman whose capacities are beyond those of any living human, is it ethical to execute this AI if she doesn’t meet the objectives (which are a mystery to the creators themselves)? It looks like a huge amount of over-spending. If we assume that the “Morgan” experiment is possible, shouldn’t we also assume that besides a physical AI body grown in an unnatural manner, within the synthetic DNA is a complex energetic structure or even a soul? The Western world (and science) still has a very limited view of the energetic structure of living beings (including humans). Traditional medicine has mainly concentrated on anatomy and problems involving the physical body, without any knowledge of a bigger picture involving chakras, thinner bodies, auras, consciousness and so on.